WD, 18 Feb 2013Can some one guide me as to what is a good app to send sms/chat using gprs, to other mobile ph... moreu better go for hike. can i use pdf viewer/reader in nokia 305 with additional software?? pls let me know.i wanna buy this phone but i am confused about this.pdf compatable or not. 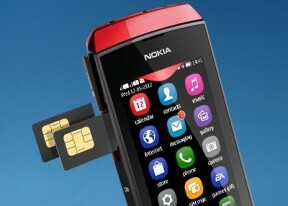 preethi, 17 Feb 2013i am using nokia-x2-01 now..... And i thought of buying this... seeing the opinions,i decid... moreI am using nokia asha 305.. Its internet is not slow.. Internet is very first.. You can use it if u wish..
Girirajesh, 18 Feb 2013Hai friend pls don't buy this device.bcz it doesn't support google maps,whattsapp,angrybird, ... moreThanks for your replay friend....thanks for your suggest...i will never buy this mobile. hi friends some one help me my default facebook icon is properly not working,if i download apps from nokia store again the same pblm occur.plz ya some help me to solve this pblm. i own one and love it.i would like to know if nokia 305 and nokia 3050 is the same phone. Hi guys my default facebook is not properly working.so plz any one tell what can i do for that?